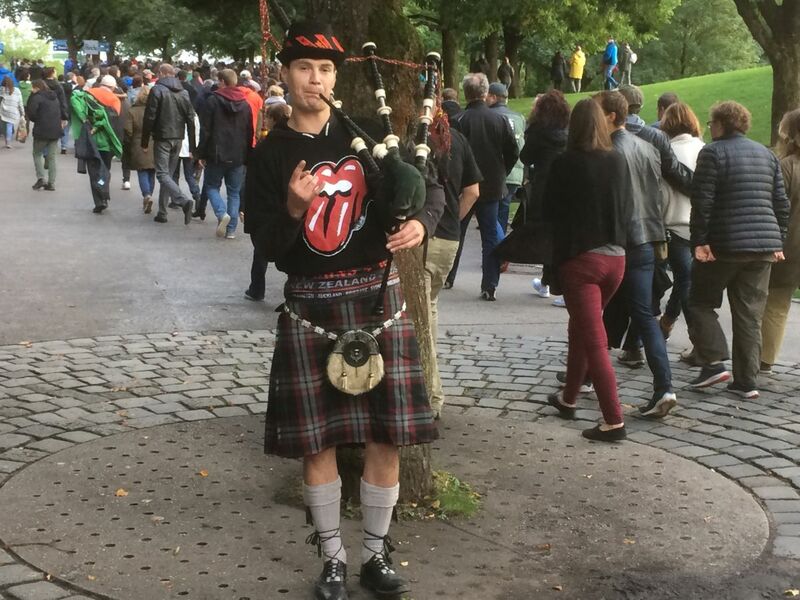 I had five great days in Hamburg Germany during The Rolling Stones No Filter 2017 Tour opening. 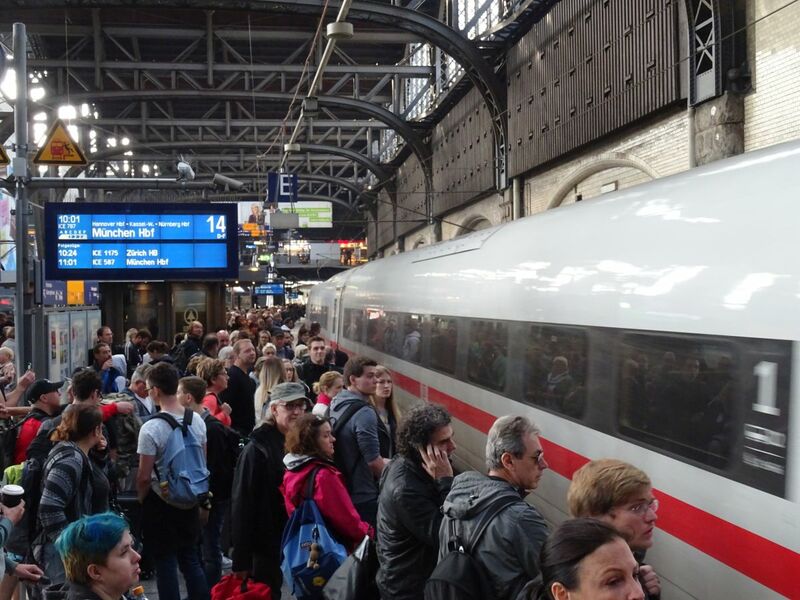 Following a short night with five hours sleep, I was on the Hamburg main train station catching a train to the next Rolling Stones show location München Germany. For most of the shows on this tour I would go home to Oslo Norway between the shows, but this was tour start, so I wanted to do the five and a half hours train ride from the north to the south part of Germany. Hotel rooms in Munich (München) was a night mare both price wise and location wise. I had been very early booking hotel rooms, but due to other activities at the same time, like a big fotball game, everything was difficult. I ended up at the Holiday Inn Munich South, which is on the same commuter train line as the Olympic Stadion, but still quite far away from the city center. 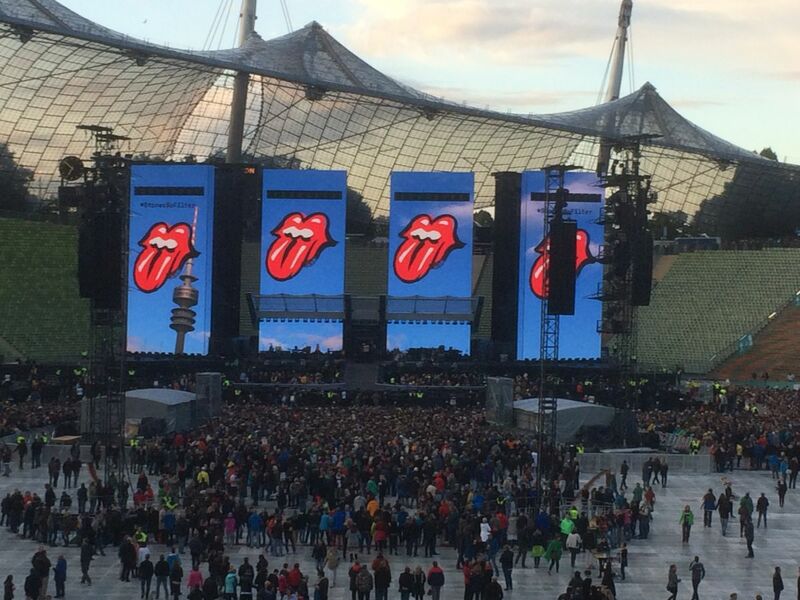 Luckily I had plenty of work to do, and I know München from every Stones tour, and also business travels, so there was no need for tourist navigation. I made my way to my favorite place “Orlando Haus”. 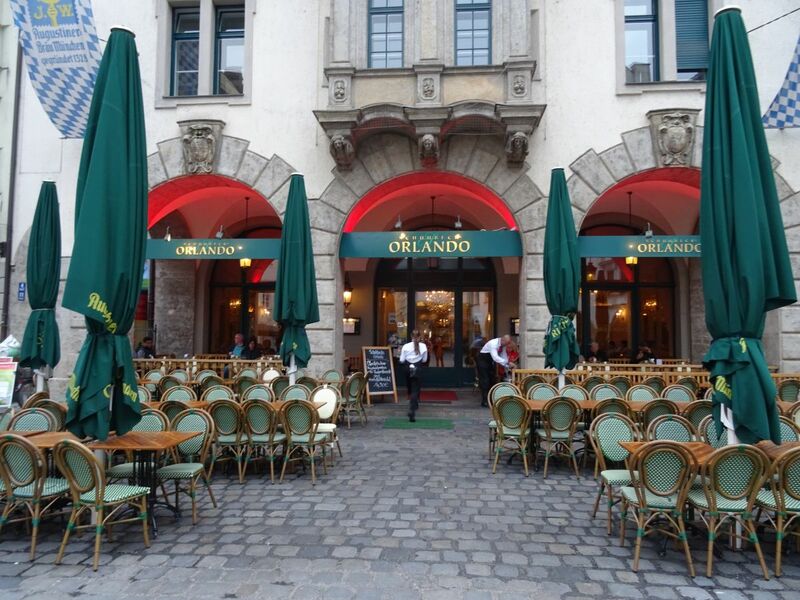 It is a restaurant with Augustiner bier an great food, right next to the famous tourist trap Hofbrauhaus – HB. Also close to the hotel where The Rolling Stones usually stay, which means it is easy to meet friends in this area. 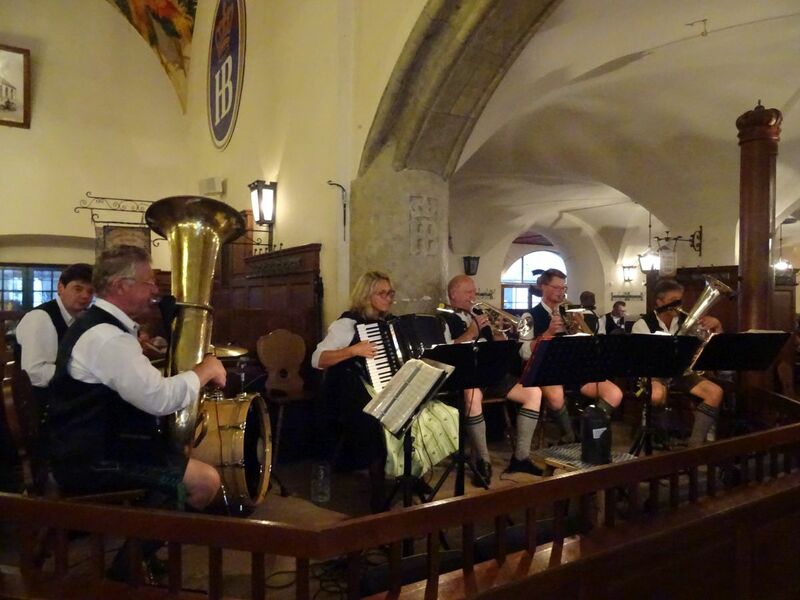 I had three days in München, and I spent them well. First full day working Monday and Tuesday, then going downtown to meet fans and friends every evening. Then on show day going to the Olympic Stadium, where I have seen the Stones on so many tours in the past. Walking from the train station to the stadium, we meet the bagpipe player who I will see several other places on this tour. He is playing a great version of Satisfaction, every time, every city, bringing us into concert mode. 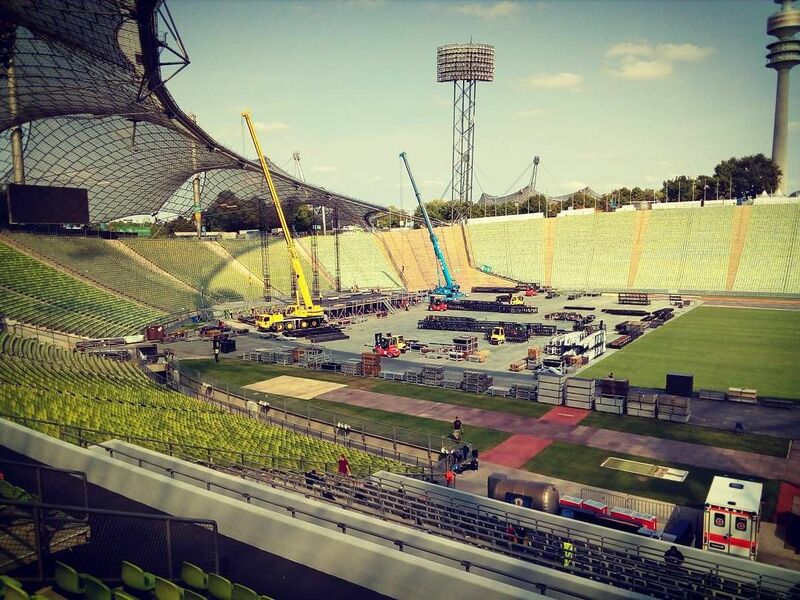 Then walking around looking for innenraum, the standing areas on the field, taking forever, and finally we are in. I think about the fact that three of them have been together since January 1963, when Charlie made it for the first gig, and Mick and Keith even longer. For more than fiftyfour years Charlie has been back there drumming for Mick and Keith, and Ronnie isn’t longer the “new guy”… I have the deepest respect for these guys, and I am so glad they still show up and perform so that I can hear the songs of my life, songs that I have been listening to during the five decades I have been a Stones fan. Enough dreaming, they shake me back into reality now at the show. Ronnie working hard, having a coat, still freezing. Keith with a long coat all through the show. Mich stripping down during the first half, then keeping the jacket on for quite a while during the second half. Munich is so cold now, it was 10 C (50 F) or even below that during the evenings. At one point it is starting to rain. 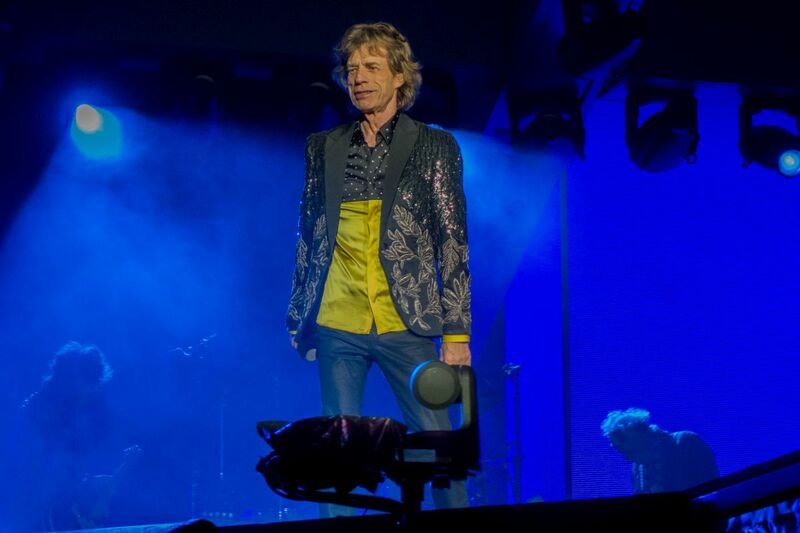 As Mick is arriving back from the extended stage, he says with a frustated voice: “They said it would not rain!”. Then he says “It will stop soon”. And sure it did. Within 5 minutes there is no more rain. The show is great, like in Hamburg. I can’t really compare these two shows. May be Hamburg was better in one way, because of “Play With Fire”, or because of other details I liked. But there are other details today. The smiles on their faces. The great songs, the complete show. 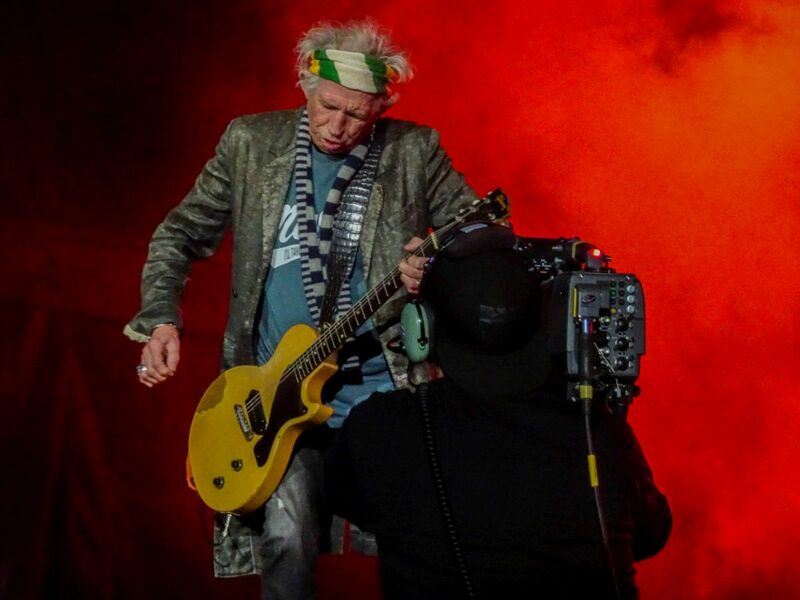 Sure Keith start “Gimme Shelter” with a twist, again, then he is on, but to me that is no worry, that is part of the show. I don’t look for errors, I look for the joy and the rock’n’roll.